This is a list of some whips I´m actually in search of. For offers, please contact me at webmaster@wwwhips.com. 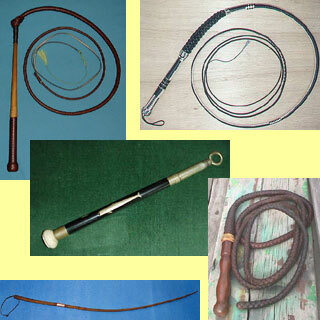 NEW: whips with "history", which had a working life at the circus, at shows, herding cattle etc. If you have any kind of whip which you think may be interesting for me, feel free to send information/photos.